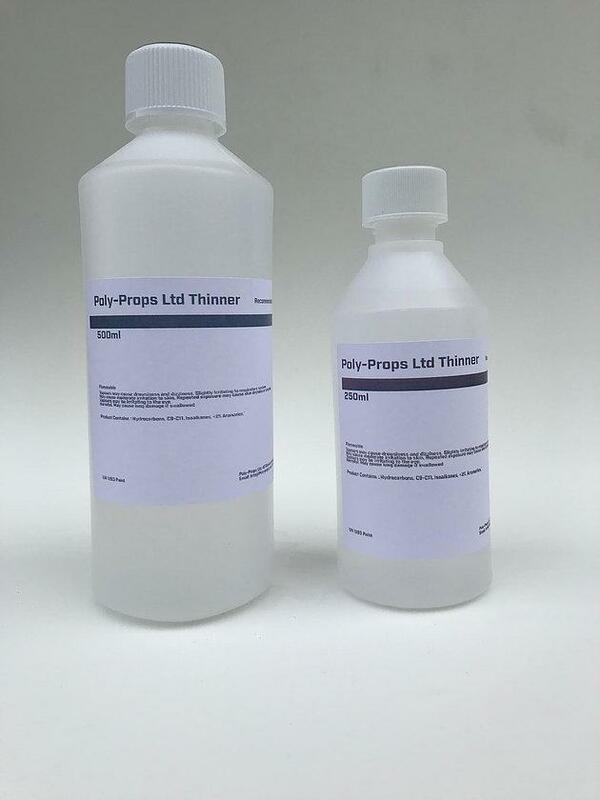 Poly-Props Thinners are low odour & are recommended for SEAL Prime Brush On. Depending on make/temperature/pressure ratio will vary. Start with 2 Parts Seal, 1 Part Thinners but this may need thinning further. Please note: these ratios are only suggested and testing for individual circumstances will be required.